Top Reason to love Supernatural – Jensen Ackles – here he is bloopering away. Two brothers follow in their demon hunting father’s footsteps to battle all manner of demons – they go to hell and back – literally. 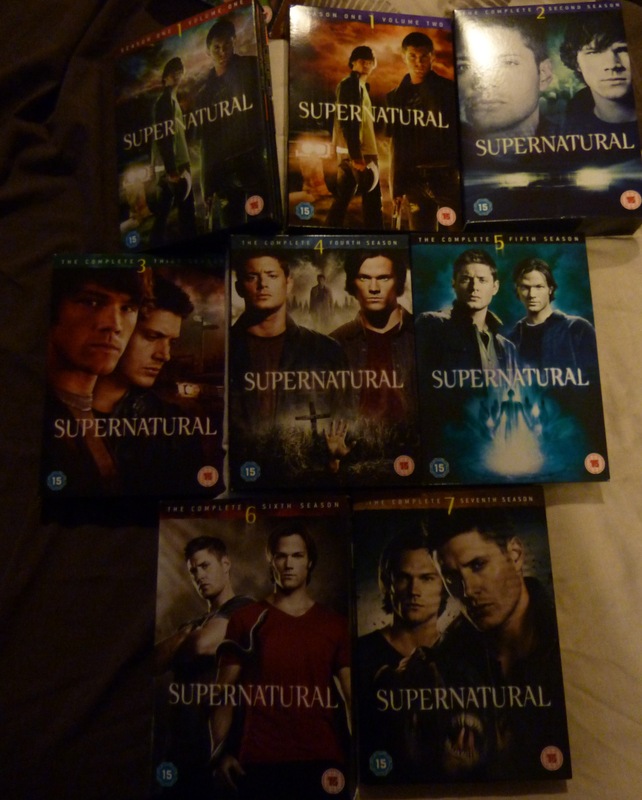 Standout episodes – I may have gone a bit overboard and found it hard to stop (no season 8 shown here in the UK yet). I could never play this ‘game’ when I was younger – this episode reassured me that I was right to stop at one mention (yup too scaredy cat to even say it twice let alone the fated three). Dean has a scar like mine after a nasty car accident (shock ending of season 1). Jeffrey Dean Morgan suits a hospital bed (as he did as Denny in Grey’s Anatomy). Now if reality supernatural TV had Sam and Dean I might watch it. We get introduced to Castiel – enough said. 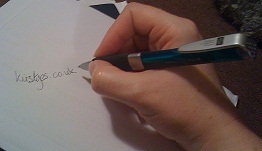 An author has been writing Sam and Dean stories – how? Stuck in TV shows – reminds me of a game my sister and I used to play with some friends when we were younger. Sam and Dean end up in an alternate universe where they are actors in the show Supernatural – adore Misha (Cas) in this episode and would love for them to do a second episode where the actors end up in the real situation. How do you try and stop Sam and Dean – clone them – twice as pretty but too mean. I also love Supernatural for introducing me to Carry on my Wayward Son by Kansas – used in their ‘The Road so far’ season summaries. 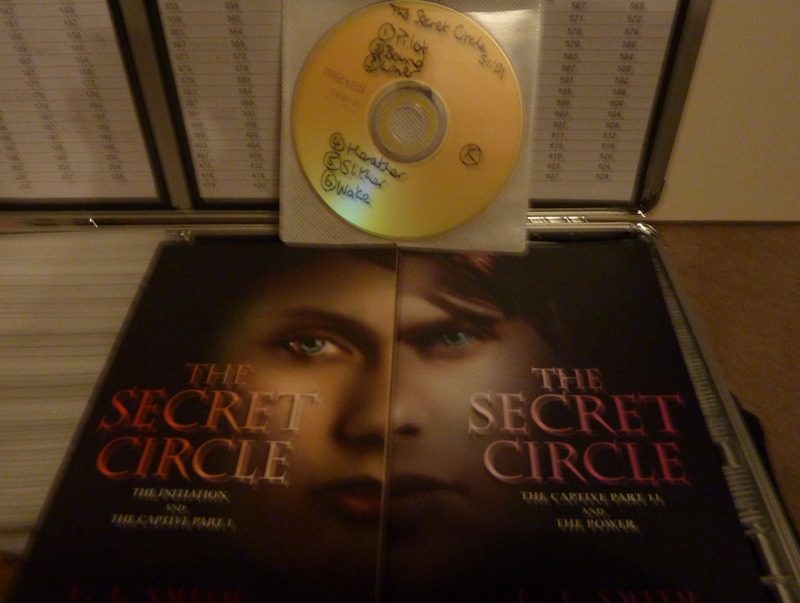 The Secret Circle – based on books written by L.J. Smith who also wrote The Vampire Diaries – the series was very different from the books (basic premise and characters only) and they only let us have the one season before cancelling it. Sabrina the Teenage Witch – Sabrina and her talking cat Salem live with two witchy Aunties – more fun. Are you a Supernatural fan? 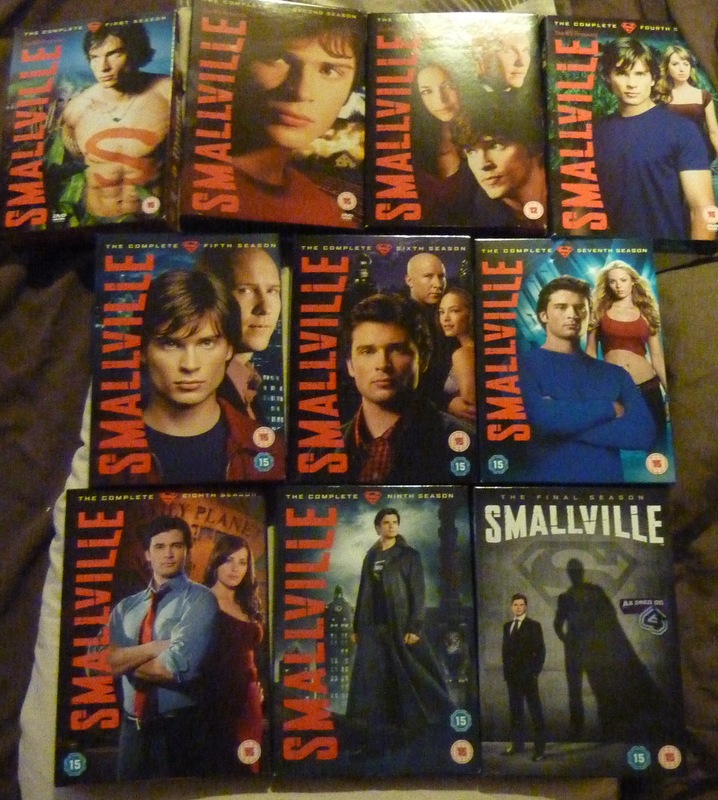 Posted on April 22, 2013, in April A-Z Challenge, Film and TV Reviews and tagged A-Z 2013, Carry on my Wayward Son, Kansas, Sabrina the Teenage Witch, Smallville, Supernatural, Switch, The Secret Circle. Bookmark the permalink. Leave a comment.